AP Limited Editions celebrates the splendor of Mother Nature in the vibrant beauty of the Love Birds on a Plum Tree. The softness and freshness of the plum blossoms is delicately captured by the amazing skill of the Chinkin Artist through different methods of carving. 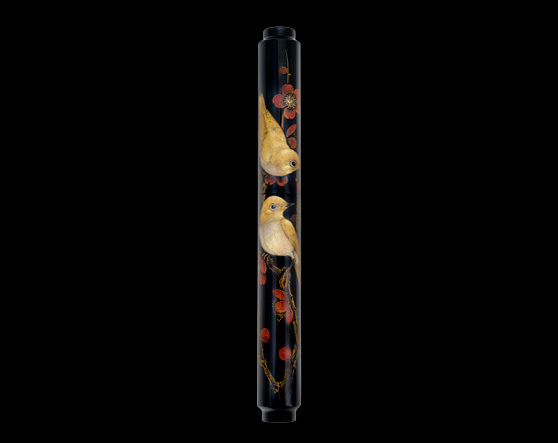 Every element of the delightful Love Birds is beautifully expressed through bold and soft strokes of carving and the application of many layers of Gold, Platinum and colored Urushi powders. You are invited to celebrate the many seasons of life with the Love Birds on a Plum Tree!